What an amazing weekend! I’ve had several emails and Facebook messages about how much people enjoyed last weekend. We had a lovely Norwich Spiritual Companions Day with William Bloom and myself at Mangreen Hall, hosted by Naomi and William Duffield. And then the room was bursting to the seams at the Spiritual Discovery Day on Sunday in Chelmsford (we have another date booked on 3rd August). Many thousands also travelled to Glastonbury for their Solstice celebration. I’m delighted that so many of you had a ‘Summer Solstice’ celebration of some kind. I was really interested that on my way home from London on the day before, Lisa Tarbuck on Radio 2, talked about how excited she was to be celebrating with a BBQ and saying that for the first time she had paid homage to the ‘Longest Day’ in such a way, giving it the full title of ‘Summer Solstice’ too. Intriuging that spiritual rituals and celebrations are crossing the boundaries into secular society – and I for one don’t really mind how they cross over, just that they do. At this point of transition there is an excitement, a raising of vibration, and without knowing why or how, people who may not have previously paid much attention to the implicit spiritual origins of certain aspects in life are becoming involved. Have you noticed this too? The rise in interest in spirituality is wonderful. I see it as part of the ongoing ‘ripple’ effect caused by the many tiny pebbles being thrown into the pond by so many of us. As one person changes and developed their spiritual understanding, their awareness and raised vibration spreads as their own behaviour changes. We have been told that one butterfly flapping its wings in South America can cause a hurricane in the other side of the world. The motion is taking effect. It’s that Universal connection illustrating in real terms how we are all one. 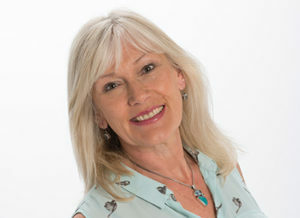 At our Spiritual Discovery Day on 22nd, I demonstrated the empathic connection between people who have never met before, when we worked in pairs to intuitively feel the rising energy in our exercise partners. We also ‘felt’, as a group, the different energetic sensations relating to the power and presence of angelic energy, when I guided everyone through a visualisation meditation with the Seven great Archangels. Some of you have written and asked me for the Angel Prayer I mentioned. The following prayer came from my time living in Bow Quarter, the old Bryant and May match factory. Waiting for the underground car park garage door to rise gave me the opportunity to call in the angels on my way to work each day. I’m sharing it so that you can use it too, if you wish. I have found it a very powerful way to connect. I hope you will too. Top photo reproduced under the terms of the GNU Free Documentation licence. 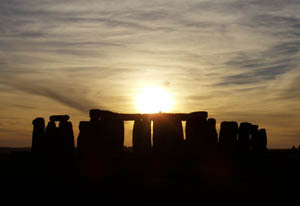 Stonehenge at Sunset, courtesy of Jeffrey Pfau. In the name of ‘I am that I am’ we detach and let go of all energy in truth that is not ours. We call back to ourselves all energy in truth that is ours and we ask that as it comes back to us it may be dissolved in the Love and the Light. We call to beloved Archangel Zadkiel and the angels of Joy. and we call to Archangel Chamuel and the angels of Love. With gratitude in our hearts we ask you to enter our earthly affairs and bring to us your wonderful heavenly qualities. Give us please the freedom from fear and self-doubt, that we may find in our minds your wisdom and illumination, understanding, inspiration, creativity, knowledge and clearness of sight. Help us to fully appreciate and enjoy the qualities of giving and receiving unconditional Love, to feel compassion, mercy, and forgiveness. 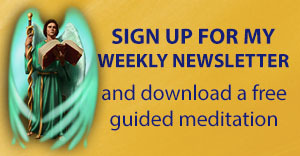 Show us how to dissolve the feelings of selfishness, self-condemnation and low self-esteem. Give us the guidance we need to create inner peace and tranquillity in our hearts and minds, with a truly spiritual balance in our humanness. We ask that with the Love and guidance of God, the Source of all life, and the help of the angels, we will grow to reach the understanding of true Christ consciousness. As we ask, with honest intent, so it may be so.